Source: Coupe Rogers presented by Banque Nationale via Facebook. Alexander Zverev has stormed up to a career-high No. 6 ranking after defeating Roger Federer in the final of the Rogers Cup in Montreal. Federer was struggling with fitness, but this takes nothing away from a dominating 6-3 6-4 victory by the young German who had saved match point in the second round against Richard Gasquet. This mental fortitude highlights the credentials of a player who has long been tipped to win a Grand Slam. This trajectory seemed predestined for Zverev as soon as he emerged on the ATP World Tour, heralded as a future Slam champion in a short space of time. Zverev has continued along this trajectory without any major hiccups to change the popular opinion formulated when he burst onto the scene. In fact, the fitness troubles of the sport’s top players could accelerate Zverev’s journey to a Grand Slam title. Zverev’s meteoric rise is reflected in the tennis betting at bet365, where the young German can be found at odds of +1200 to claim the US Open in September. This places him as fourth favourite in the current standings, and that situation may well change over the next couple of weeks. Andy Murray’s fitness is currently unproven, while the degree of Federer’s physical discomfort in Montreal is yet to be established. That would leave Rafael Nadal as favourite, and the Spaniard is never the same proposition on hard courts as he is on the clay. Federer’s defeat to Zverev was only his third loss of the year. Source: Coupe Rogers presentee par Banque Nationale via Facebook. With expectation comes pressure, and perhaps the biggest question mark hanging over Zverev’s potential is that he is yet to prove himself in the high-pressure situation of a Grand Slam. There were high hopes of the German at Roland Garros, given his propensity to handle all surfaces with aplomb, but he fell to the sporadically dangerous Fernando Verdasco in the first round. Zverev fared better at Wimbledon, delivering his strongest Slam performance in a round-of-sixteen defeat to Milos Raonic. Zverev should probably have prevailed in that match but was defeated over five sets. If Zverev can deliver his peak level across a best-of-five match, then there is little to suggest that he is not on the pathway to Slam success. Previous US Open winner Marin Cilic will be dangerous at the US Open if fully fit, but otherwise, the tournament promises to be extremely open. The young German is undeniably the form player and therefore has to be considered a worthy contender. A look at the six ATP Masters 1000 tournaments so far in this calendar year substantiates that claim. Federer triumphed in Indian Wells and Miami before Nadal excelled on the clay of Monte Carlo and Madrid. 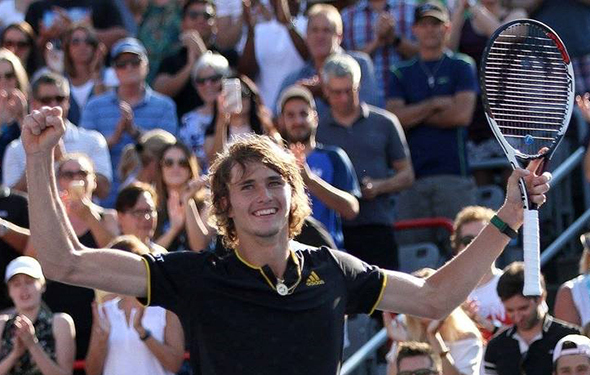 The clay tournament in Rome was won by Zverev, a stunning victory that has now been joined by the aforementioned glory at the Rogers Cup in Montreal. 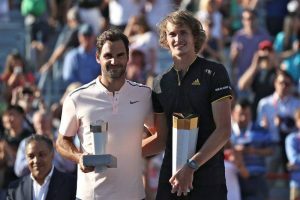 That victory in Rome came after Zverev defeated Novak Djokovic in the final in straight sets, and Zverev doled out the same treatment to Federer. Some talented players lack the armoury to take down the best and therefore lurk in the lower position of the top ten for much of their career. Zverev has all the weapons to take down the best, and the US Open may be coming at the perfect time for a player in terrific form. Jennifer Carson is a recent sports journalism graduate and an avid follower of squash, tennis and lacrosse. She has previously written for publications including the Mansfield and Ashfield Chad and the Derby Telegraph.